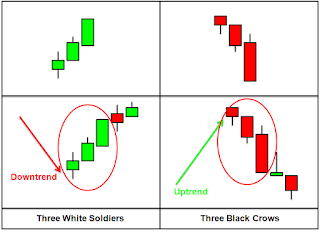 This tutorial, we are going to touch on interpreting 3 candlesticks indicators. 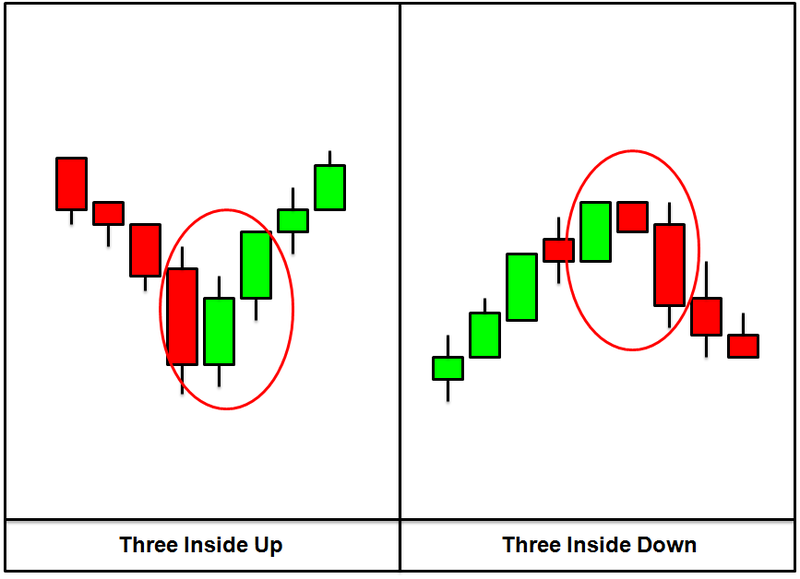 The more candlesticks you have that show a possible uptrend, downtrend or reversal, the more confident you can be when you buy or sell in the market. 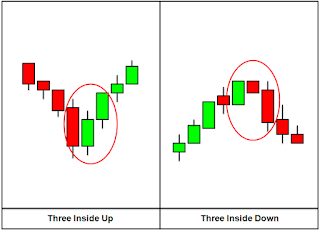 With no further ado, lets move on to learning how to interpret 3 candlesticks in the market. 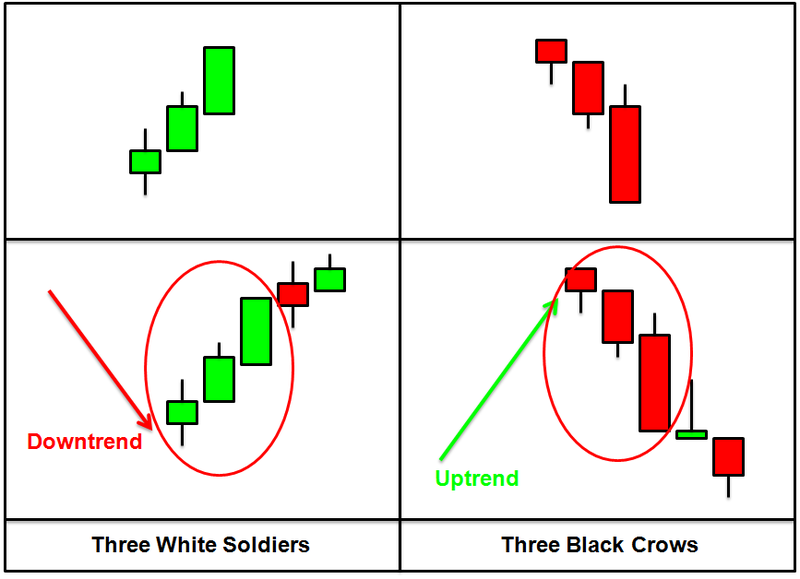 Like the evening and morning stars, the three morning soldier and three black crows signal a downtrend or uptrend reversal respectively. 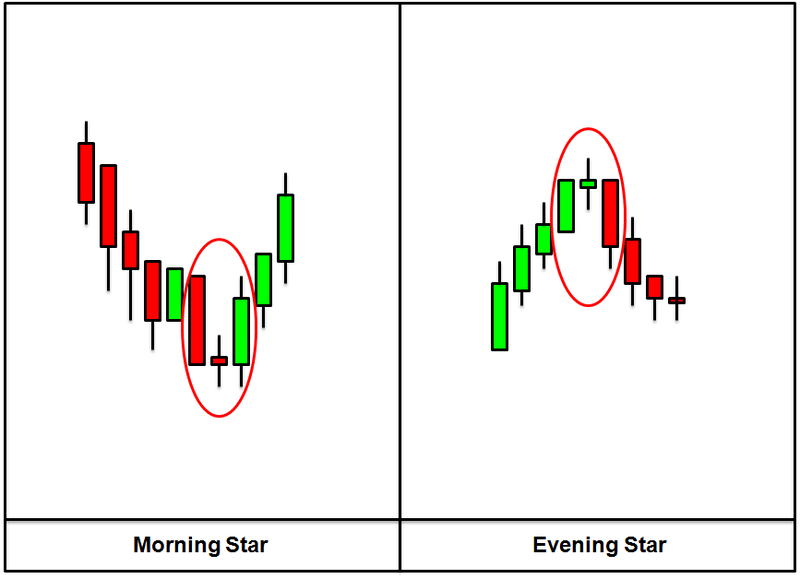 This is one of the most accurate reversal patterns. This is especially true during a period of extended uptrend or downtrend or a short period of random opposing movements in the market. Do refer to the figure above on the application of analyzing a three white soldiers or three black crows pattern. Do take note of all these indicators and use it as a rough guide in your trading. 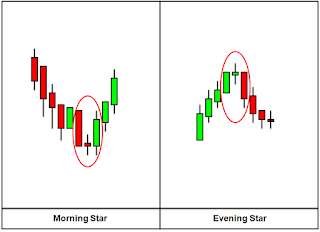 Next lesson, I will post a complete summary sheet you can print out and use for your day to day trading in finding the candlestick patterns.